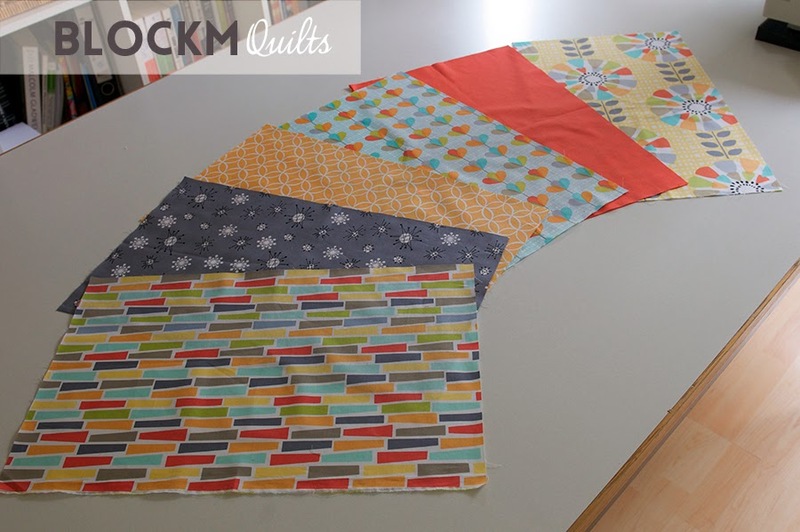 As I've seen the previous fabric challenge by the Modern Quilt Guild I was impressed with all the different designs people came up with and didn't have to think long and signed up for the 4th annual fabric challenge. 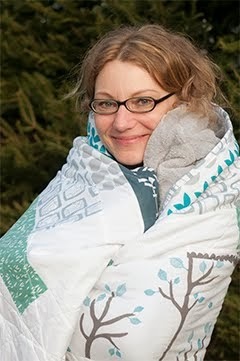 I have never taken part in a challenge before and as I received the fabric I was quite nervous about it. I'm pretty certain that this will not go anywhere... I'm mean competition-wise. 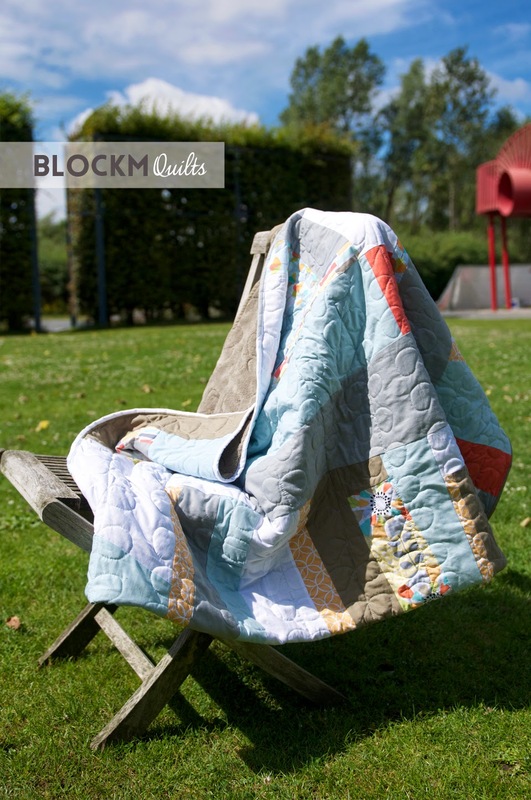 I have seen some fantastic quilts for the challenge already.. I have a lot to learn. 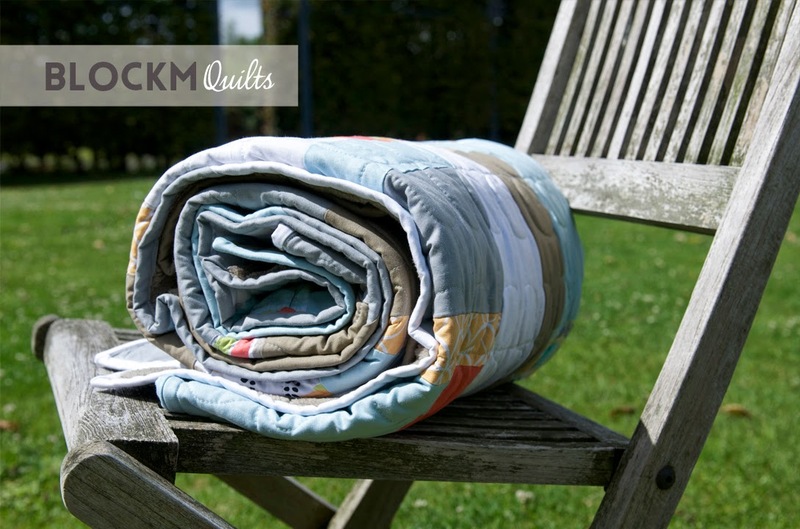 Anyway, I'm really happy with the quilt and since the fabric wasn't available anywhere in Germany it turned out to be smaller than a usual lap quilt, so I thought this 'small persons quilt' is perfect for my niece and God Child, Anna. 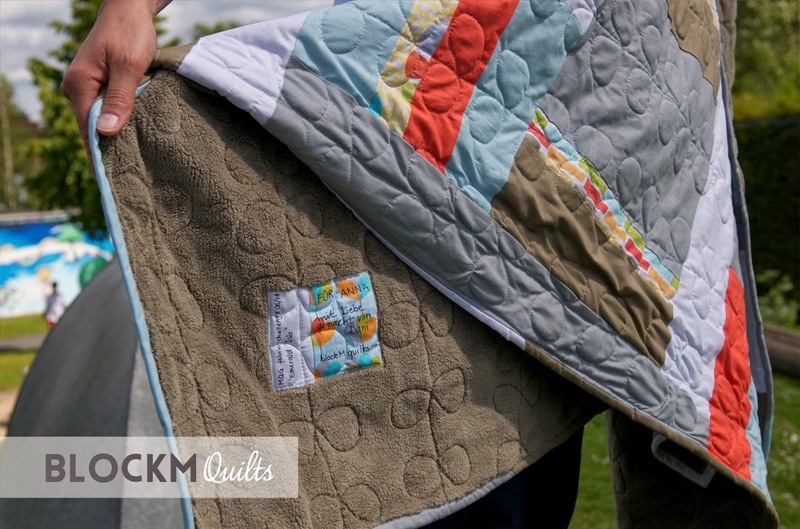 I opted again for a fleece backing but still quilted it with curvy flowery stitches to accompany the floral fabrics on the front. During the piecing process I always try to name the quilt in progress. 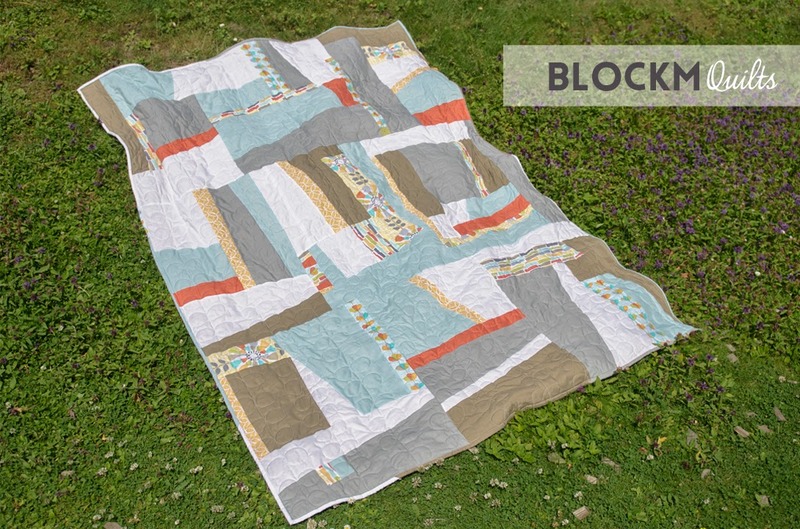 I think every quilt needs a suitable and memorable name. My solid fabric choices and the floral challenge fabrics began to remind me of Ireland, where I lived for six years. The colours stand for the blue and white clouds, the often, very often grey and rainy skies, the pebble stone beaches, the steep and dramatic coasts, ancient rocks, mountains, bubbly cities, the beautiful flowers and super friendly and happy people. 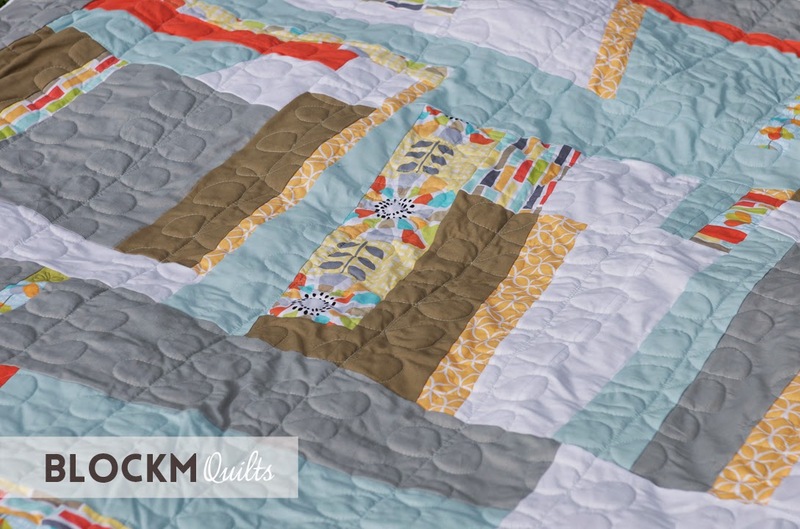 My husband again came up with the name and also with the little twist in the quilt... a quilt named 'Emerald Isle' and there is not a single green piece of fabric in it? 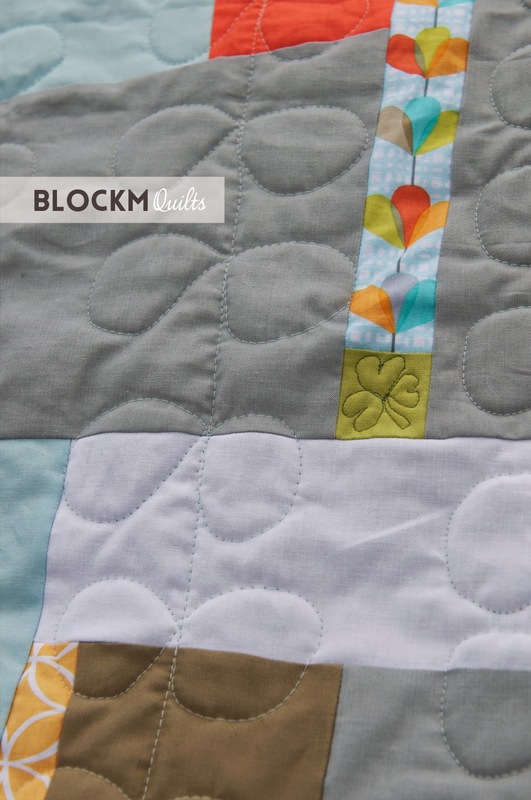 So there it is: a tiny green patch quilted with a shamrock! Awwww! 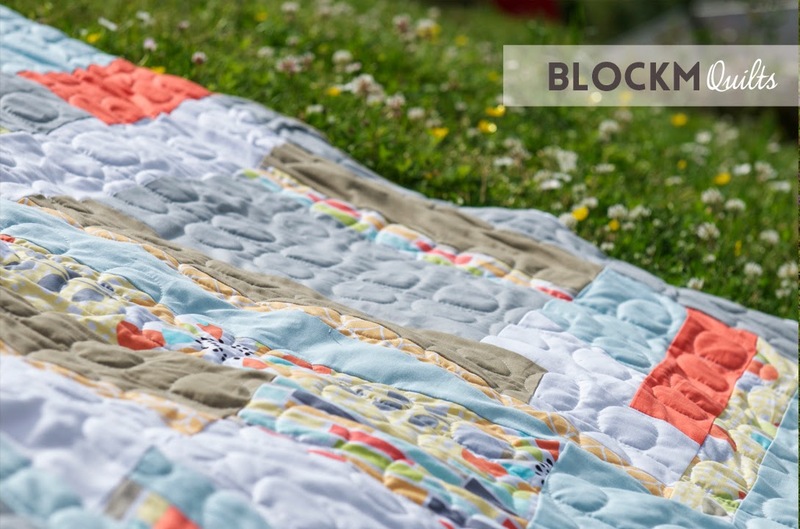 I will give the quilt to Anna soon, she is ten now and starts secondary school in August and I think that the quilt will provide warmth and comfort. Thank you Modern Quilt Guild and thank you Michael Miller Fabrics, without this challenge I would not have made this quilt.